As the weather cools down, homeowners begin to have their furnaces inspected and may consider system replacements before the first frost hits. Many people wonder whether it’s more efficient to pair a furnace replacement with an AC installation. According to Guelzow Heating & Air Conditioning Service in Wisconsin Rapids, WI, the right answer depends on a number of factors. Improve Energy Efficiency: If your AC was purchased over a decade ago, you might be missing out on the efficiency of modern models. Today’s heating and cooling systems are more energy-efficient than their older counterparts. You will benefit from lower cooling costs in the summer by making the update during furnace installation. Improve System Performance: Installing a new furnace alongside an older AC unit—and vice versa—can lower the performance of both systems. Replacing both allows you to use new technology to its full potential without forcing your older system to work overtime to keep up. Benefit From Matching Manufacturers: When replacing both systems with newer models from matching manufacturers, you gain the advantage of having each complement the other. Since your furnace and AC system share the same air handler, both will operate together at full capacity. Save Money on Installation: Homeowners save more money by adding a furnace to an AC installation as opposed to replacing the furnace on its own. 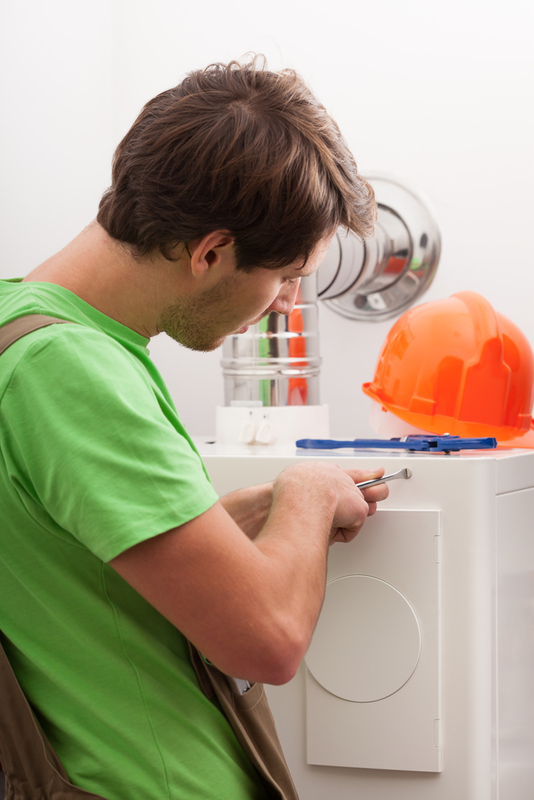 Since components will already be detached, furnace installation is a breeze for your heating contractor. Guelzow Heating & Air Conditioning Service has been the region’s leading heating and cooling company since 1953. Their team of expert contractors can make the best call on whether your home would benefit from an AC installation along with your new furnace. They also perform a variety of other services, including furnace repair, duct cleaning, and heat pump replacement. Learn more about their services online or by calling (715) 423-1086.